The Aegis Echo fits comfortably under most over-the-ear hearing protection, thanks to thin alloy temples, which fit easily under ear protection without breaking their seal around your ear. 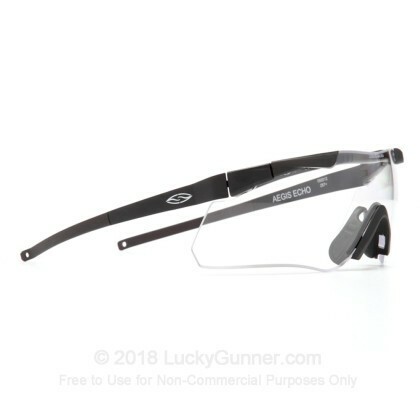 With Aegis Echo shooting glasses, you'll never again feel the pain of your ballistic glasses digging into your temples as you shoot! 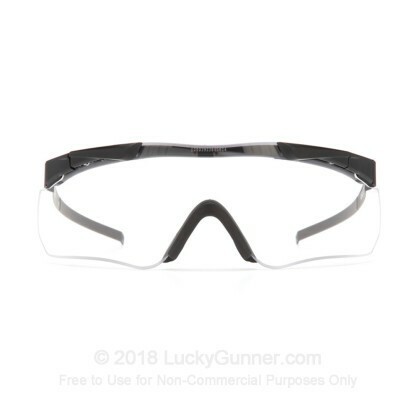 Aegis Echo ballistic shooting glasses feature Smith Optics proprietary Pivlock™ technology, for quick, easy lens changes. The Aegis Echo's interchangeable lenses are tapered to remove distortion. 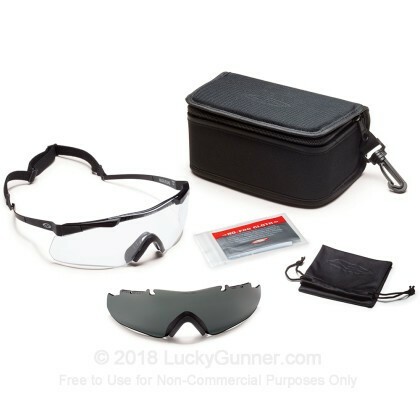 For their line of Elite Protective Eyewear, Smith Optics drew upon their decades of sports optics design, combined with the expertise of numerous tactical professionals in the field. This design practice resulted in a series of comfortable, attractive, and highly functional ballistic protective eyewear. All Smith Elite Optics protective eyewear meets or exceeds both ANSI Z87.1 and US Military MIL-PRF-31013 standards for ballistic protection. Learn more about Smith Elite eyewear and how they stack up to the competition at Lucky Gunner Labs!